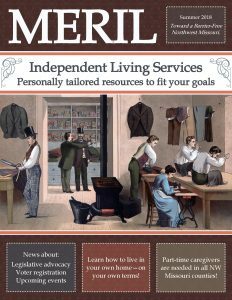 MERIL helps people with disabilities live independently in Northwest Missouri. Welcome to MERIL. You're at the right place! 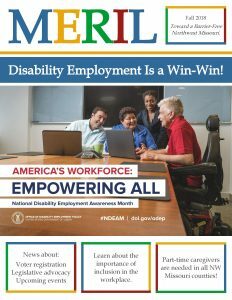 We are a unique and dedicated disability services organization staffed by people with disabilities who bring personal experience and expertise to the in-depth Independent Living services we provide. For 25 years, we have guided people with disabilities as they achieve their goals of living comfortably and safely in their homes and communities. 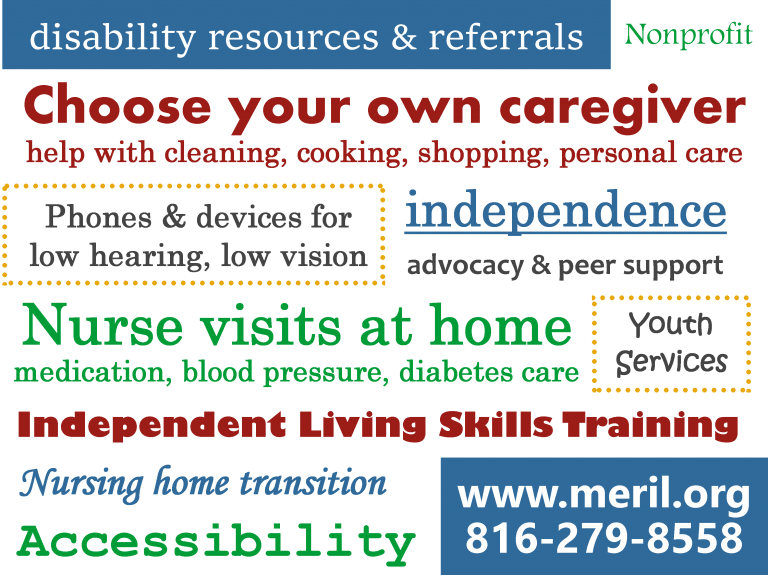 Whether you are looking for caregivers, nurse services, assistive devices, accessibility information, youth services, nursing home transition assistance, skills training, advocacy, or peer support, we are here to show you the full picture of options available to you. As a nonprofit, our goal is to connect you with resources that will empower you to live life fully. The best way we can help you is to learn about you. Call us and tell us about your disability or health condition. We’ll help you find the resources you need.